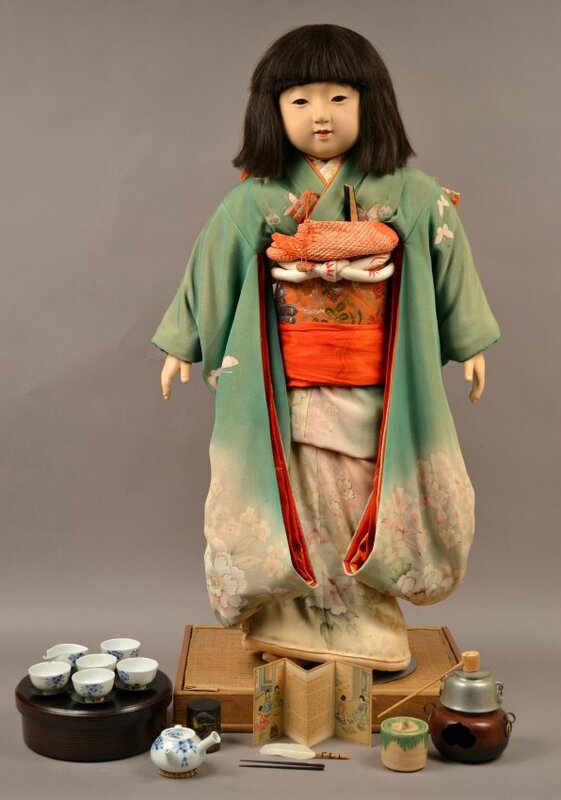 This tea canister is one of the Miss Kyoto doll accessories. 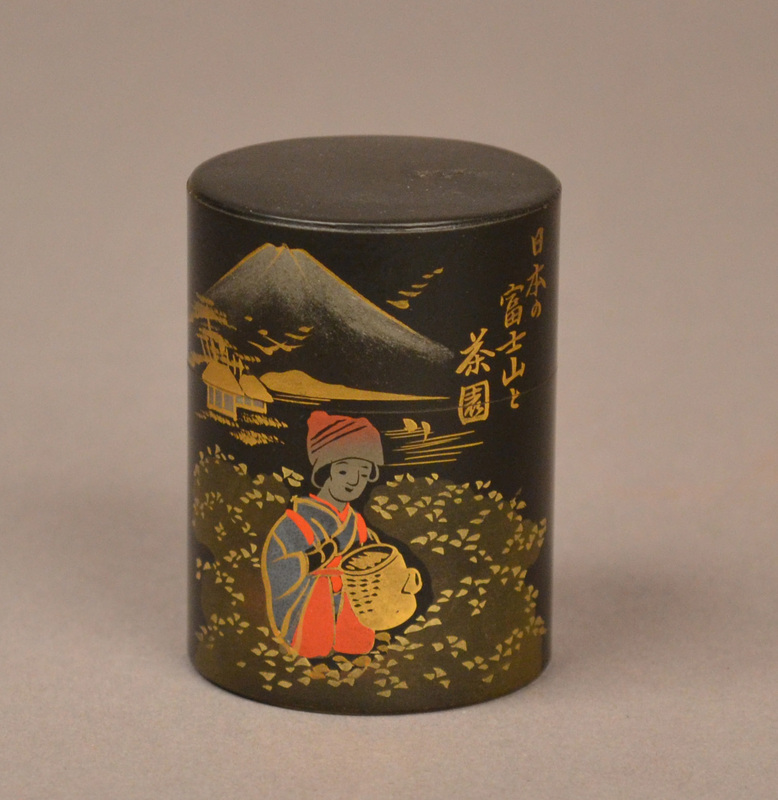 The tea caddy is made of tin, and has a body and a lid. The caddy is black and painted with an image in gold, red, and green of a woman picking tea, with a village and Mt. Fuji in the background. There is an inscription in Japanese painted in gold to the right of Mt. Fuji.